Happy Thanksgiving. Jessica and I have a lot to be grateful this year including a wonderful supportive family, we each have an adorable little fur baby, we have had the opportunity to take several great trips this year, and we have had the opportunity to connect with some amazing people through our blog. Although Jessica and I are not with the rest of our family this year they are still in our thoughts and you are too. We hope that each of you have a warm, joyful, and beautiful Thanksgiving Day full of friends, family, and great food. The whole setting looks soo beautiful! Happy Thanksgiving! 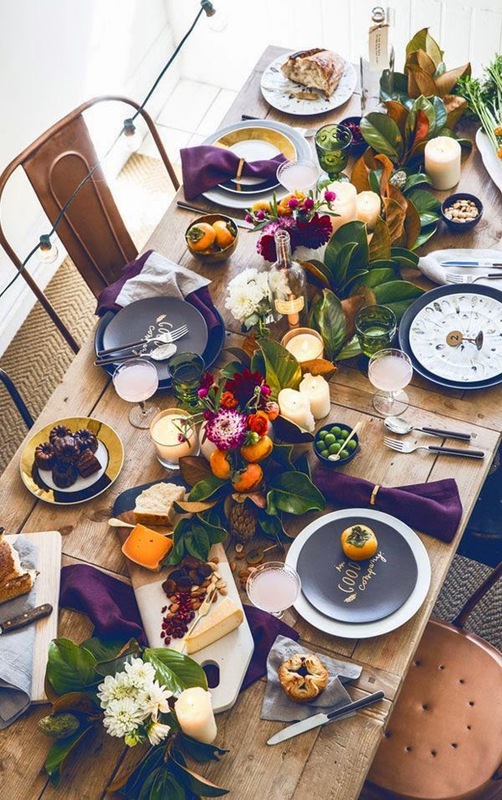 Beautiful Place Setting; Happy thanksgiving to you too. I hope you had a great Thanksgiving Day ladies! Happy Thanksgiving to you, Hope you had a terrific one!